Dušan Tadić on confidence gleaned from Bournemouth win. Watch our interview with Saints' keeper after win over Cherries. Saints stopper praises steely performance in Bournemouth win. Massive 3 points. Massive 3 games coming up. Together we are stronger. Watch the best of the action from a huge win at St Mary's. Check out the best of the images from the win over Cherries. Dušan Tadić on the togetherness that helped Saints to pick off the Cherries. Two-goal Dušan Tadić on success against Bournemouth. Read our report as Mark Hughes's men earn a huge three points. The Saints manager's message to his players. All the key stats and facts ahead of Saturday's Premier League clash. The word from the red and black camp ahead of Saturday. Saints boss Hughes on Cherries meeting. Watch as Saints boss Mark Hughes previews Bournemouth clash. Take on our latest pre-match quiz. Watch as Saints trained ahead of Saturday's game. View our images from training at Staplewood Campus. Mark Hughes gained his first three points as manager! Dušan double! A brace from the Serb seals the win for Saints. Josh King leveled for Bournemouth on the stroke of half time. Tadić opened the scoring in the 24th minute for Saints. Tadić inspires Saints to vital win. Read our report by clicking here! McCarthy is keeping Saints alive here. A fantastic one handed save. Cards beginning to stack up. Saints under pressure here in the dying stages. Another huge save from McCarthy, again with his legs, before King fires over. For kicking the ball away. Alex McCarthy happy to watch the shot sail wide. We're into the final stages here. Stay strong, Saints! The crowd are on their feet as goalscorer Dušan Tadić departs. Replaced by James Ward-Prowse. Final throw of the dice for Mark Hughes. Saints continue to lead. The striker nicks the ball from Francis, who hesitated inside his own defensive third. Long charged towards goal, but the centre-half recovered well, conceding a corner in the process. Lemina with the latest chance! He's been superb today. Catches Bournemouth napping at the back, before linking with Shane Long. Chance eventually cleared, but the visitors are living dangerously. Saints continue to probe. Austin hits the side netting with a fearsome shot, and that'll be the striker's last contribution of the afternoon. Ryan Bertrand runs the length of the pitch to get up with play. Superb vision from Tadić to spot the full-back, who takes one touch before firing low. Begovic saves. Saints almost had their third. Lemina with a lovely pass to Tadić, who worked the ball to Austin. Shot took a deflection, nearly landed at the feet of Long. But was eventually cleared. Second change for the visitors. First change for Eddie Howe. The Norwegian gives Wesley Hoedt the slip, before firing at McCarthy's goal. Good hands from the Saints stopper, catching comfortably. First change of the afternoon for Mark Hughes. Redderz is withdrawn, Shane Long in his place. Roared on by the crowd inside St Mary's, Saints regain the lead. It's 2-1! Lewis Cook catches it well from 20 yards, sending the ball swerving in the air. McCarthy watches it on to his gloves, making the save comfortably enough. Lovely pass from Bertrand, to find the run of Redderz. Evading the offside trap, he looks to cross, as the ball cannons off Simon Francis. Shouts of hand ball, not given. First booking of the afternoon for Saints. More of the same in the second half please, Dušan! Saints pegged back on the stroke of half time, but certainly an encouraging 45 minutes! Tadić with the opener, King with the leveller. A big half to follow! After a half solely dominated by Saints, Josh King is left unmarked at the back post from a corner and has the easiest of finishes to draw Bournemouth level. Alex McCarthy saves with his leg to deny Nathan Akè from close range. Really confident goalkeeping, and maintains Saints' lead as we approach half time. As always, thank you for your continued support! The noise inside St Mary's is superb. Keep it up, Saints fans! Charlie Austin is bundled over in the penalty area, after clashing with Begovic. Referee Anthony Taylor isn't interested. Play continues. Saints still leading, as we approach the halfway point. Tadić looking very threatening down the right. Nearly two! Mario Lemina catches the ball sweetly on the half volley, producing a fine save from Begovic, who dived to his left and palmed to safety. Tried his luck from distance, didn't quite come off. But Saints with all the intent here! Well saved by Begovic, but the effort rather took the Cherries stopper by surprise. Austin faked to cross, but the shot was sneaking inside the post, before intervention from Begovic. Quick fire break, orchestrated by Mario Lemina. He charges over the halfway line, finds Tadić on the run, who latches on to the ball and cooly puts it beyond Begovic, and into the far corner. Honours even as it stands, but Tadić is looking to get beyond the full-back whenever opportunity arises. Assisted by Cédric. Tadić is nearly gifted a glorious chance, as Cook plays a blind pass back to his goalkeeper. Begovic clears, but again Saints go close. The crowd willing Saints forward at every opportunity - and they are responding! Good spell of pressure here, committing players forward and looking dangerous. Smart footwork from Tadić in the box, evades two defenders. Falls kindly to Bertrand, whose shot is charged down, then Romeu with the follow up, again bodies in the way! 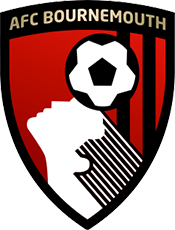 Austin harassing the Cherries backline, forces a mistake from Begovic and Saints regain the ball. Looking to go forward with Lemina, as Tadić then finds Cédric - no takers in the box. 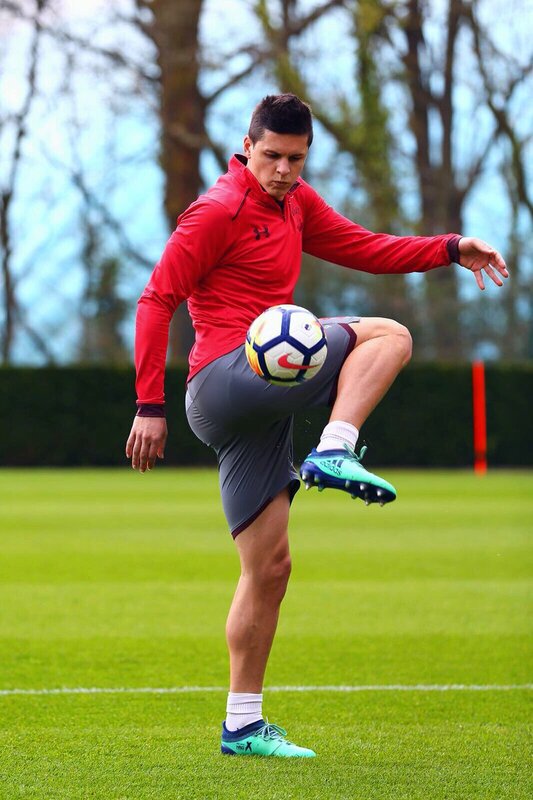 Jan Bednarek turns the ball behind for a corner, without any immediate pressure from a Bournemouth player. Danger is eventually cleared, but just need to remain calm in these early exchanges! The Serb goes down under the pressure of Lewis Cook, looked a nasty one. Back on his feet, and the Bournemouth midfielder is booked for his troubles. Formalities complete, we're ready for kick-off. And it's loud inside St Mary's! A reminder that Josh Sims is the feature interview for this week's matchday magazine! Available around the ground for just £4. Also available online, by clicking here! Both sets of players are out on the St Mary's turf warming up. We're 30 mins away from kick-off here! We want to hear you today, Saints fans! You were fantastic at Wembley stadium last weekend, more of the same please! Full focus inside the home dressing room, ahead of kick-off today! Ahead of a massive day of Premier League football, watch Saints arrive at the stadium! Take a look through a selection of our photographers photos, as the Saints players and management made their way in to St Mary's earlier today. Manager Mark Hughes makes two changes to the side that started at Wembley last weekend. Shane Long and Pierre-Emile Højbjerg drop down to the bench, making way for Nathan Redmond and Dusan Tadić! Starting XI: Begovic (GK), Francis (c), Cook, Gosling, Akè, Daniels, Wilson, L.Cook, King, Fraser, Mousset. Subs: Boruc (GK), Surman, Pugh, Smith, Defoe, Mings, Ibe. Starting XI: McCarthy (GK), Cédric, Yoshida, Hoedt, Bednarek, Bertrand (c), Tadić, Romeu, Lemina, Redmond, Austin. Subs: Forster (GK), Stephens, Ward-Prowse, Højbjerg, Sims, Gabbiadini, Long. Who would you like to see in the Saints starting XI today? Watch back the best of the action from the meeting between the teams in December, as Charlie Austin's second-half goal earned a point at Vitality Stadium. View some of our images from this week, as the players built-up to this afternoon's match. we welc0me back jack stephens from his suspension. steven davis is unfortunately struggling with his achilles again, which is an irritant to us and him. We spoke with Saints boss Mark Hughes in the build-up to the match, and he was not hiding from the importance of it. Watch our interview with him to find out what he had to say. IT'S MATCHDAY... And it's a big one! Welcome to our coverage from St Mary's, where it's undeniably a huge day for Southampton. Saints begin the afternoon in 18th position, four points behind Swansea, who occupy the place above them. A win would mean a precious three points and send the side into the away games at Everton and the Swans with confidence. Stay with us for all the build-up, match updates and live commentary!